By 2017, 60% of global manufacturers will use analytics to sense and analyze data from connected products and manufacturing and optimize increasingly complex portfolios of products. By 2022, IoT will save consumers and businesses $1 trillion year in maintenance, services and consumables. Why should I connect my product? Manufacturers want to get on the IoT band wagon and often think that it is simply a matter of adding connectivity. A good example would be incorporating weather data app to see if your sprinklers should turn on or off. The difficult part is to create a successful IoT solution and not just a connected device. What are your current and future needs for hardware and software? Do you have a realistic view of build vs buy timelines? How can I create new business value? Collecting data and leveraging that information can help manufacturers optimize product development, generate revenue streams, reduce costs, and improve operations. Provide access to distributors, resellers and API developers! You can white-label the platform as your own in minutes! This is a session with IoT experts to provide feedback and guidance on IoT products, revenue models, technical concepts. 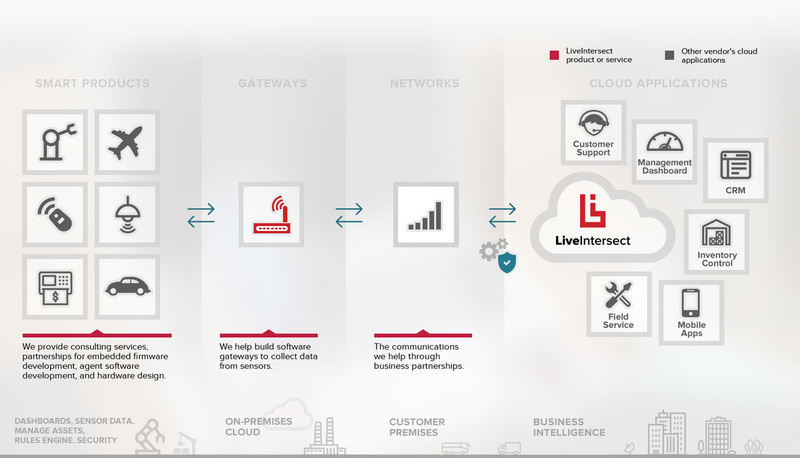 We engage our customers to build an IoT product concept, setting out goals for validation. The result can be a paper concept or end-to-end working prototype. The process is elastic to conform to the customer’s needs. This is an engagement where Esprida will help build an end-to-end IoT product, including cloud services, agent development, hardware, and connectivity. Esprida is an innovative technology company that has been helping organizations increase the value of their technologies since 2002. We are continuously focused on connecting smaller devices, faster communications, and systems integration. We have worked with OEM manufacturers, rebranded the platform under their own names and embedded our platform as part of service or warranty programs. If you are in retail, manufacturing or digital signage, there’s a good chance you’re already using Esprida LiveControl. Our customers will tell you that our people are extraordinary and our technology exceptional. We are IoT solution accelerators. Help us learn more about your devices and tell us what you are trying to achieve from them? Are you building an automated system?